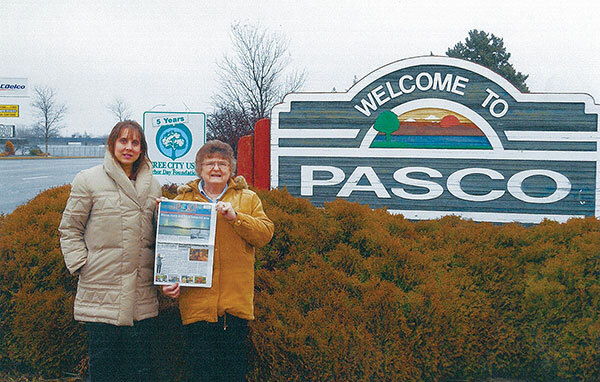 Tag Archive | "Columbia River"
Joan Maycroft and her daughter, Renee Sizemore, took the Post and went on a trip to visit Joan’s mother in Pasco, Washington, in January. 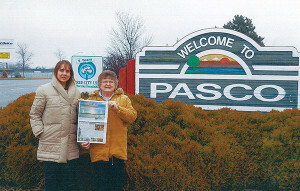 Pasco is located in the southeast part of Washington, in what is known as the Tri-Cities area—it includes Pasco, Richland and Kennewick. “They are located at the spot where the Snake River and the mighty Columbia Rivers converge, an area rich in agriculture and fishing,” explained Maycroft. She said her daughter wanted to see the mountains, which they saw plenty of when they took a road trip along the Columbia River in Oregon, where they were able to see Mount Hood and Mount Baker. Thanks for taking us with you, Joan!